With the grand opening of the new Carolina Stadium on the 21st of February, 2009, a new standard was born in Columbia. 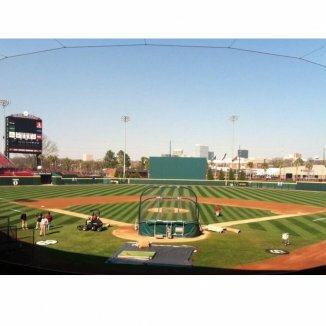 The ballpark has become recognized by many as one of the finest college baseball facilities one can visit in the country. An era of high expectations and of dominance has ensued in the following years, as the Gamecocks’ sterling home record indicates. Proudly hanging along the opposites side of the great center field wall are the 2010 and 2011 championship banners – the first two national championships of any sport in South Carolina athletics history.